Another project I worked on this week, was one I found on Pinterest here. 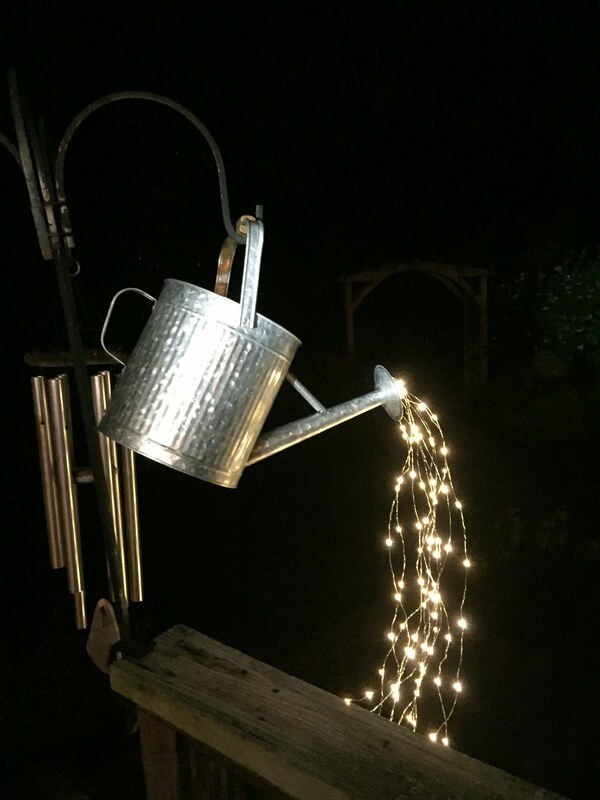 although any watering can and fairy lights will work. Solar fairy lights may be a better choice. I thought I might have to enlarge them. 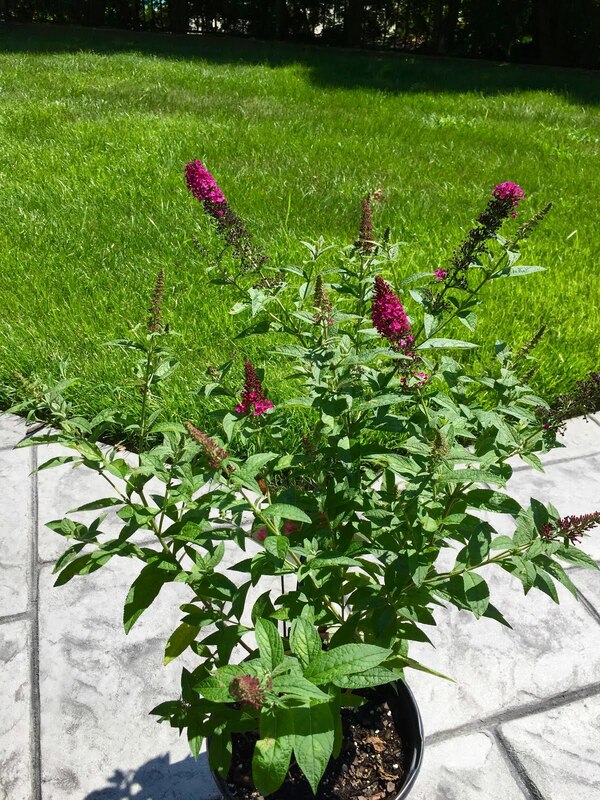 "watering" my new butterfly bush. It has a remote so I can turn the lights on and off from inside the house. 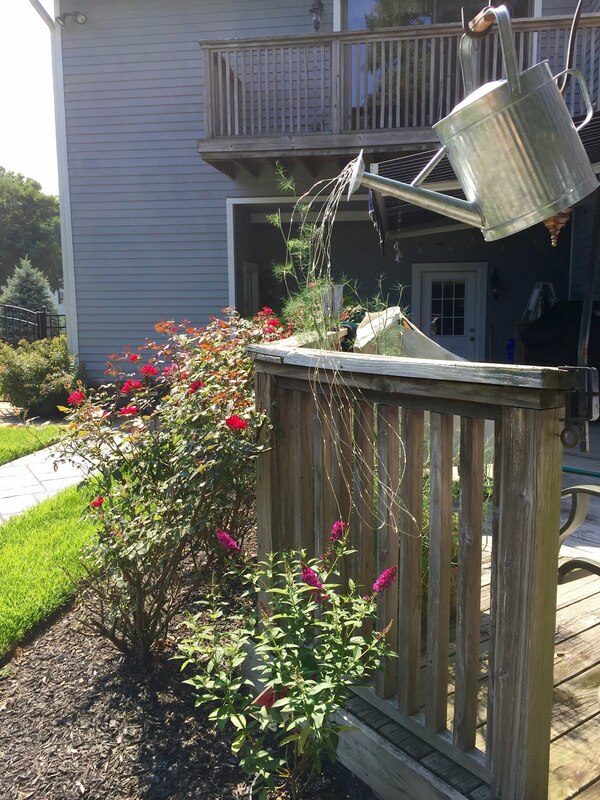 even in daylight it appears to be "watering" my new butterfly bush. Hello, what a cute idea. It looks so pretty at night. Thanks for sharing! Happy Friday, enjoy your weekend! I'm going to show this to hubby and say...hint hint! I love it! you can do this all by yourself diane, and i'm sure you could find a watering can cheaper. i can't drive, so i have to find items on amazon or bug the hubs to take me shopping and i actually hate to shop. it was so easy to make, but my husband helped anyway, he is a good helper!! Such a great idea Debbie. It looks beautiful. I have seen these and loved them but yours is, by far, the prettiest one I've come across! What a cute idea, it's so pretty at night. I am very impressed with this project. I will try to remember this.May have to try my hand at making something like that. Now, this really is a clever idea! I totally have to try that!! It looks just wonderful and I have a million of those hooks. I even have those kind of lights in my cart on Amazon already, I just haven't bought them. It looks wonderful Debbie. That is just so neat, love that idea and it would be best with solar lights that's for sure, love that it looks neat in the daytime too! I love the results of this awesome project. 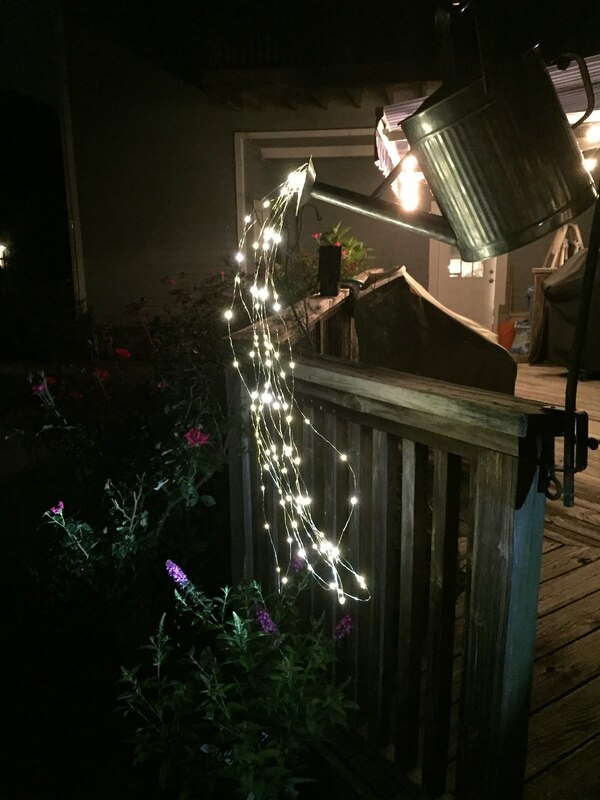 The watering can and lights are beautiful. I bet it does look fantastic at night. You are very creative my dear friend. Such a fabulous idea, Debbie. It must look spectacular at night. Really cool idea! It looks awesome! That is super cool, even during the day it looks perfect. I like the fact that it looks good during the day, too.